This attitude along with their attention to detail and focus on customer service, has undoubtedly contributed to Wash N Go’s success. 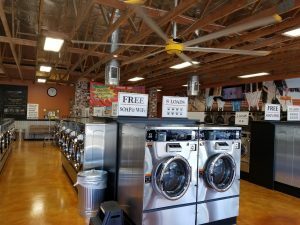 In addition, along the way, they made the wise decision to seek out an experienced laundry expert—Steve Erlinger of Western State Design—who helped them avoid common mistakes and choose the optimum mix of high efficiency commercial laundry equipment among other things. 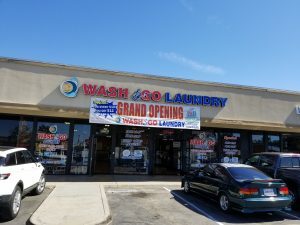 For this latest store, Robert and Alex took a similar approach to their other coin laundry retail locations: they purchased an older, run-down laundromat in an area with high density residential housing which they completely renovated. All of their stores feature high, open ceilings, attractive modern lighting with cheerful, vibrant colors. 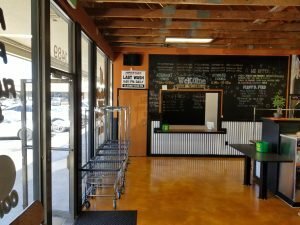 What’s more, beautiful murals and photos make the customers feel as though they’re in an upscale coffee shop rather than a laundromat. 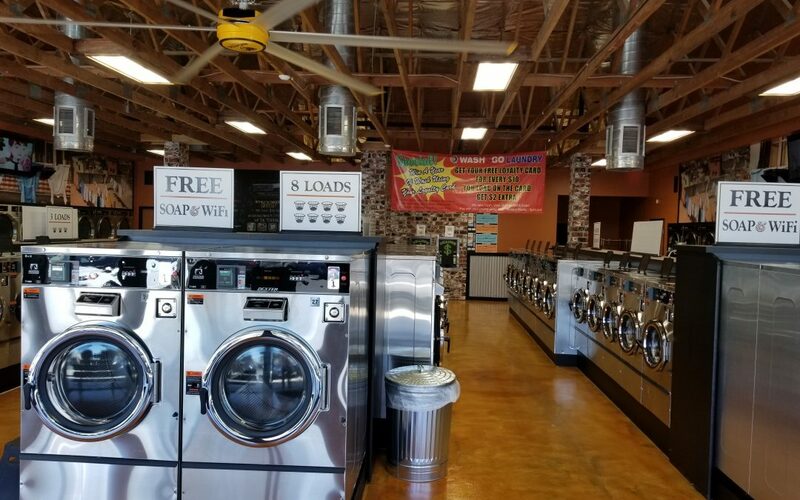 What really attracts customers and makes this newest laundromat stand out from the competition is its reliable, high performance Dexter commercial washers and dryers. Not only are the machines attractive, easy to use and problem-free, they are fast and efficient, allowing customers to get in and out in a minimum amount of time. One especially noteworthy feature of this store is the large quantity and size of its dryers. 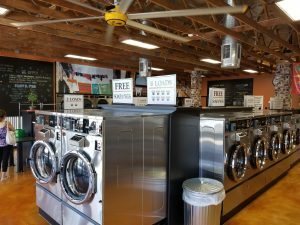 The owners choose a full complement of high capacity dryers so customers never have to wait for dryers to become available—a common frustration in old-style laundromats. And, the choice of Dexter Stack dryers has allowed this Wash N Go to maximize its drying capacity in half the space it would otherwise need. The laundry machines are equipped with Spyderwash card readers which give customers the option to pay with credit cards, cash or loyalty cards which offer promotional benefits such as discounts on future washes. To learn more about Western State Design or Dexter Laundry equipment, please contact a WSD Laundry Specialist today.